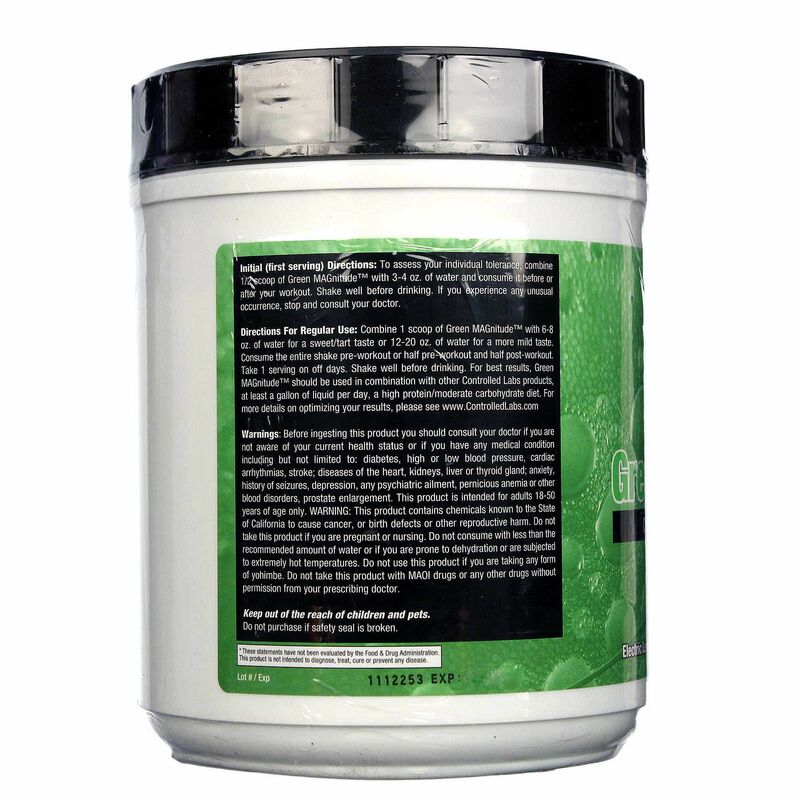 If you want to increase your stamina in the gym and gain size and strength, Green MAGnitude is the right choice for you. If you want similar results in convenient capsule form, we recommend Green Bulge. Either way, you are getting a full dose of patented Magnesium Creatine Chelate that has been clinically proven to increase strength. Green MAGnitude is the most advanced powder creatine matrix ever to reach the market and one of the first creatine products on the market to combine Magnesium Creatine Chelate (a patented form of creatine), with Dicreatine Malate (creatine bound with Malic Acid) to deliver synergistic benefits you can actually feel working during your workout. 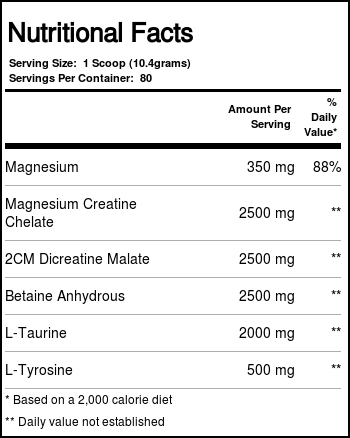 Recommended Use: Initial (first serving) instructions: To assess your individual tolerance to the supplement, combine 1/2 scoop of Green MAGnitude with 3-4 oz of cold water and consume it before or after your workout. Shake well before drinking. 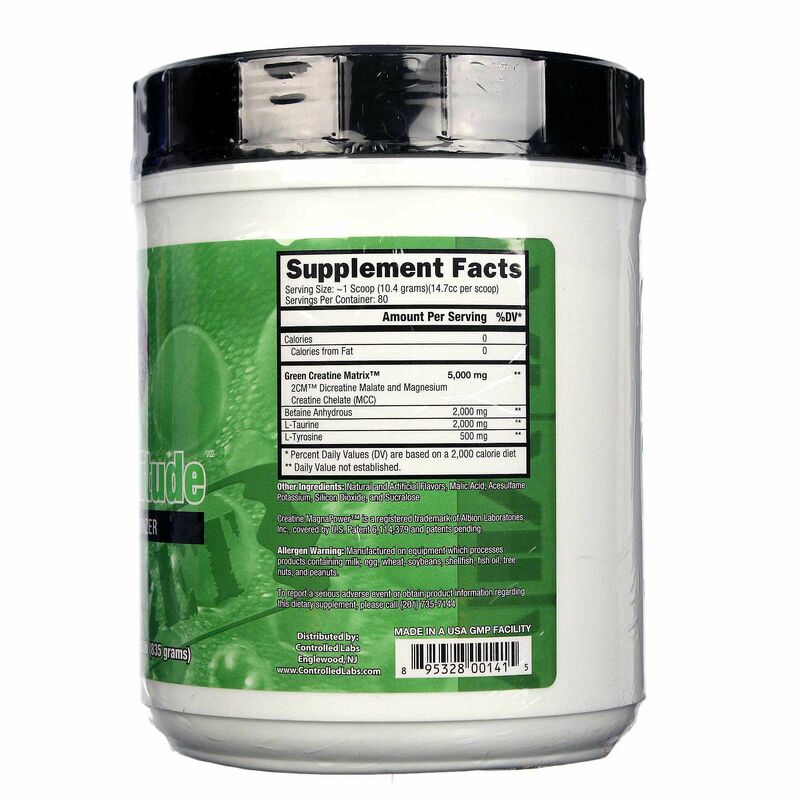 Directions for usage: Combine 1 scoop of Green MAGnitude with 6-8 oz of water and consume it pre-workout or post-workout. Shake well before drinking. 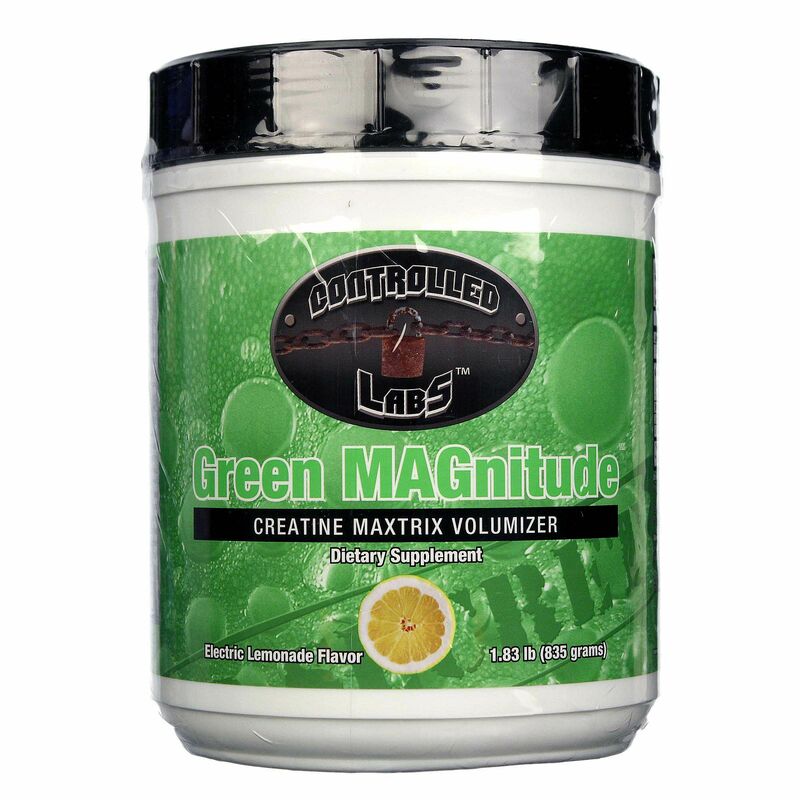 For best results, Green MAGnitude should be used in conjunction with other Controlled Labs products, with at least 1-2 gal of water per day, and a high protein/moderate carbohydrate diet.